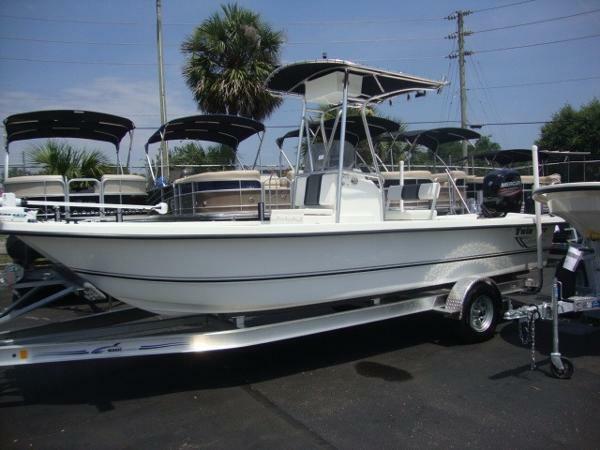 2008 Chaparral SUNESTA 224 PREMIUM WIDE TECH WAKE TOWER NAV 5.0L V8 WE FINANCE! 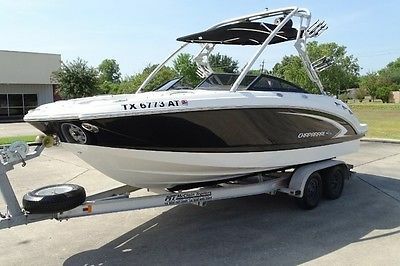 2008 CHAPARRAL SUNESTA 224 PREMIUM WIDETECH WAKE TOWER NAV 186 HOURS view other auctions Please Scroll Down To View All Full Size Photos VEHICLE INFORMATION Year Make Model Mileage 2008 Chaparral SUNESTA 224 PREMIUM WIDE TECH WAKE TOWER NAV 5.0L V8 186 Exterior Interior Stock # VIN Black/White White 34F708 FGB80134F708 Engine 5.0L V8 GXI-G window sticker DESCRIPTION 2008 Chaparral SUNESTA 224 PREMIUM WIDE TECH WAKE TOWER NAV 5.0L V8 2008 CHAPARRAL SUNESTA 224 WIDETECH PREMIUM VOLVO 5.0L V8 GXI-6 270 HP. BEAUTIFUL 2 TONE BLACK AND WHITE EXTERIOR WITH WHITE VINYL INTERIOR. LOADED WITH DURA-LIFE MAX PREMIUM EXPANDED VINYL SEATS, VOLVO 5.0L V8, PREMIUM PACKAGE, WIDE-TECH DESIGN, KEVLAR REINFORCED HULL, EXTENDED V-PLANE HULL, WAKEBOARD TOWER, BIMINI TOP, CARPETS, NAVIGATION, DEPTH FINDER, SONAR, WET BAR WITH SINK, DIGITAL INSTRUMENTATION, INTEGRATED EXTENDED SWIM PLATFORM WITH BOARDING LADDER, ENCLOSED HEAD WITH PORTA-POTTIE, DUAL FUEL FILLS, 2 BATTERIES, BOW ICE CHEST, AFT PLATFORM LOUNGE WITH INSULATED STORAGE, DURAFLEX SUSPENSION PEDESTAL SEATS WITH FLIP-UP BOLSTER, LOW PROFILE WINDSHIELD, L-SHAPED AFT LOUNGE SEATING, ROCKFORD/FOSTAGE MARINE SPEAKERS, CD PLAYER/MP3 JACK, STORAGE COMPARTMENT UNDER FLOOR, STAINLESS STEEL CUP HOLDERS, STAINLESS STEEL HANDLES, WIDE-TECH BOW LOUNGE WITH STORAGE UNDERNEATH, TILT STEERING HELM, ANCHOR AND ROPE LOCKER, BILGE BLOWERS, BILGE PUMP, PULL-UP CLEATS, FLIP-UP HEADLIGHT, DOCKING LIGHTS, BOW SCUFF PLATE, COMPASS, TRANSOM TILT SWITCH, TRANSOM STEREO REMOTE, AND MUCH MUCH MORE…. ONLY 186 HOURS…. 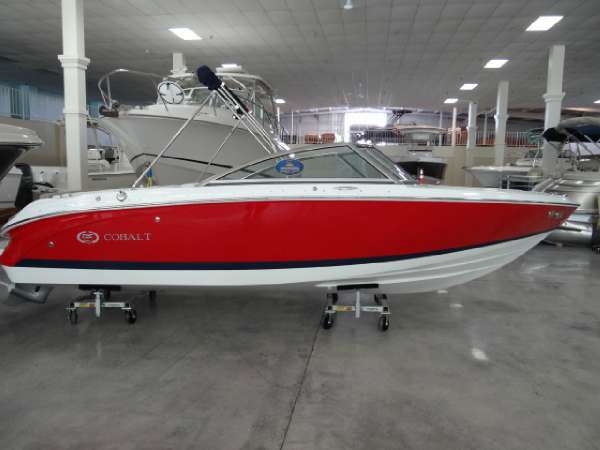 INCLUDES TRAILER, FIRST AID KIT, BRAND NEW FLARE GUN AND BRAND NEW LIFE VESTS…. READY FOR THE WATER!!! MEASUREMENTS: Length (feet) 22 Length (inches) 4 Length (meters) 6.81 Length (LOA w/ swim platform) 22 ft. 4 in. (6.81 m) Beam 8 ft. 6 in. 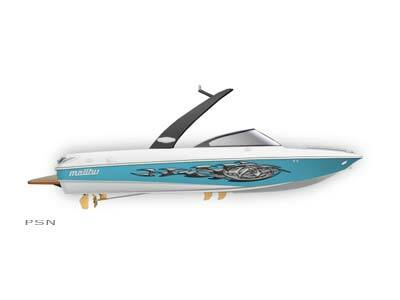 (2.59 m) Bridge Clearance With Wakeboard Tower: 107 in. (2.71 m) Draft (max) 35 in. (89 cm) PLEASE CONTACT OUR SALES DEPARTMENT @ 1-877-395-8319 FOR MORE INFORMATION... WHY BUY FROM TEXAS AUTO? Since early 2004, Texas Auto has sold tens of thousands of vehicles all over the world to happy customers just like you. We want you to see the value in our dealership which often means looking past the price alone. Although we have very competitive pricing on hundreds of vehicles, other sellers may have a similar car for a slightly lower price. Well buyers beware. Ask yourself if they have a modern state of the art facility with a great local and online reputation, do they have a full function service department, do they employ a dedicated staff of over 70 people to serve you, and what happens to their vehicles before they sell them? Many internet sellers simply wipe their cars down and take some pictures in front of a pretty setting. Every single vehicle we sell is hand selected, passes a 126 point inspection, gets a fresh oil change, a full detail, and is completely quality controlled to ensure all features are in proper working condition. With someone else, you might be able to save a couple hundred dollars off the price today, but how much will you spend tomorrow? Buy from us with confidence and get competitive nationwide financing, shipping to your front door, award winning warranties and service contracts, and much much more! From the entire Texas Auto Family, we thank you and look forward to earning your business! DEALER CONTACT Texas Auto Sales Department 877-395-8319 toll free 832-242-9555 fax 16200 Highway 3 Houston, TX 77598 Ask Dealer A Question If you have a question, please call or complete the form below for a quick response. Name Email Phone Question(s) TEXAS AUTO FINANCING INFORMATION Texas Auto offers a variety of competitive financing options! Now you can locate, purchase, finance, ship, warranty, and enjoy your online buying experience from the comfort of your own home! Applying online is fast, easy, free, and you will normally receive an answer in minutes -- click here to apply! We work with many different lenders to ensure we find you the best loan possible to suit your needs. Click on the banner below to fill out our fast, easy, and secure loan application, and we will show you how easy it is to purchase the car of your dreams from Texas Auto! WARRANTY We offer several different warranties so that you can chose the one that best fits your individual needs, just click here for more details. Texas Autos' warranty coverage is good anywhere in the continental United States & Canada. Service can be performed at Texas Auto or at any repair facility of your choice including franchise dealerships. The warranties are issued through nationally recognized, trustworthy, and financially sound companies. Texas Auto is not the warranty provider itself, but functions as an authorized dealer providing a link between the consumer and great warranty companies. Our customers can now protect their investment from costly repairs and feel more comfortable purchasing their vehicle from Texas Auto! Now click here for more details and great rates on extended service contracts. PHOTOS For Questions about this vehicle, please contact at 1-877-395-8319 and reference this stock # 34F708 For Questions about this vehicle, please contact at 1-877-395-8319 and reference this stock # 34F708 For Questions about this vehicle, please contact at 1-877-395-8319 and reference this stock # 34F708 For Questions about this vehicle, please contact at 1-877-395-8319 and reference this stock # 34F708 For Questions about this vehicle, please contact at 1-877-395-8319 and reference this stock # 34F708 DEALERSHIP PHOTOS TERMS & CONDITIONS The Buying Process Regardless of where I live, how does the buying process work if I am financing my vehicle through Texas Auto? Apply online, get approved, and contact your corresponding salesman to work out the details of the transaction. Leave the standard $500 deposit to secure your vehicle during the buying process. Depending on where you live and how you will take delivery of the vehicle, the loan paperwork will be sent via FedEx to be signed and returned or handled in person at the dealership. Once all the necessary documents are received, the loan will be funded within a few days and you can start making arrangements to take delivery of your vehicle. We will gladly arrange to have you picked up from the local airport during regular business hours or we can arrange shipping to your front door on a fully licensed, bonded, and insured carrier. All necessary paperwork and any taxes collected will be forwarded to the proper agencies to license and register your new vehicle and license plates are mailed directly to you. Transaction Complete! I live out of state, how does the buying process work if I am paying cash in person? Cash Purchase from Out of State Contact your salesperson to leave the standard $500 deposit and/or win the auction on eBay and send your deposit via Paypal. We contact each other via email and/or phone to finalize the transaction and exchange basic contact information. You send certified funds for the remaining balance due plus any applicable shipping charges, warranties, and applicable fees. Once we receive the funds, any necessary shipping arrangements are made and in most cases, your vehicle is picked up the following business day. Your new car is now on its way to you. Typical delivery time is about a week and a half. We will also be happy to pick you up at the airport if you decide to fly in and drive your vehicle home. We send you copies of all the paperwork for your records and one for you to sign and return. We require signed paperwork before the vehicle can be shipped. We send out all title documentation via FedEx. Transaction Complete! I live out of state, how does the buying process work if I am getting financing from my local credit union/bank? Contact your salesperson to leave the standard $500 deposit and/or win the auction on eBay and send your deposit via Paypal. We contact each other via email and/or phone to finalize the transaction. We fax all required paperwork to your bank, including copies of the Purchase Order and title documentation if necessary. Your bank sends certified funds for the remaining balance due. When we receive your funds, we ready the car for shipping- Your new car is now on its way to you, typical delivery time is about a week and a half. We will also be happy to pick you up from the airport if you decide to fly in and drive home. We send you duplicate copies of the paperwork, one for you to keep, and one for you to sign and return. We need signed paperwork before we can ship the vehicle. Transaction Complete! I live out of state, but want to fly in and drive my new car back home. No problem! We do this all the time. Please make arrangement to fly into Houston Hobby (HOU) or Bush Intercontinental Airport (IAH). Please let us know about your travel arrangements ASAP so we can have the paperwork prepared and arrange to have you picked up in your vehicle at no additional charge. About Us Texas Auto is the pre-owned car dealership of the future located in Houston, Texas. Family owned and operated, we have been selling quality pre-owned vehicles using the online marketplace since early 2004. We started with a handful of unique vehicles and shipped them all over the world to our online customers. Although we still do this today, we have expanded to over 500 vehicles in stock and a 10 acre traditional facility to include all the great services you are accustomed to finding at your local manufacturer dealership. From sales to service, we are here to save you time, money, and help change the image of typical used car dealers! After exploring the quality and diversity of our inventory, our impeccable feedback, and our amazing pricing, we know you will feel comfortable purchasing a vehicle from us like over 10,000 happy customers already have. Texas Auto is the dealership of the future and we are here to save you money! From the entire Texas Auto family, we thank you, and look forward to earning your business! Shipping - Transport We are more then happy to make all of the shipping arrangements worldwide for your vehicle. We deal with many independent shipping companies that are licensed, bonded, and fully insured, so that we are able to pass on the lowest rate possible to you, the customer. WE SELL AND SHIP OUR VEHICLES WORLDWIDE-INTERNATIONAL CUSTOMERS ARE WELCOME! Terms of Sale ----- DISCLAIMER ----- This vehicle is currently for sale in our inventory and may be sold before the auction is ended. Therefore, we reserve the right to end the listing if the vehicle is no longer available for sale. Please be advised that you are bidding on a pre-owned vehicle, which has been previously driven and has been subjected to normal wear and tear, both cosmetically and mechanically. We attempt to recondition all vehicles prior to offering them for sale. We describe all vehicles as accurately as possible, however, there is no possible way to include every minute detail and imperfection. Since this is a pre-owned vehicle, we may or may not have all keys, books, floor mats etc... Vehicles with books, records, and/or manuals, will have pictures of those items in their auction listing; otherwise the vehicle does not include them. If you are not sure about something, please ask. Do not assume anything not listed is included. Odometer mileage is posted at the time of listing, but may vary do to local test driving, demos, in-transit repairs, or road testing to insure satisfaction. All deposits are non-refundable due to removing them from the market, re-listing fees, and possible loss of sale. Deposits are refundable if the vehicle fails an on site professional inspection. Texas Auto does not guarantee the validity and duration of the manufacture's warranty. These are pre-owned vehicles and they are sold in 'AS IS' condition. However, many vehicles are still under factory warranty or an extended warranty may be purchased, click here for more details on warranties. It is agreed by all parties in relation to any transaction involving this vehicle, won through eBay or not, that the proper venue for any legal proceedings will be conducted in Harris County, Texas. ----- FEE AND TAX INFORMATION ----- All vehicles are subject to a $150 administrative fee, a $299 dealer service fee, and a vehicle inventory tax of .002229% ($22.29 per $10,000 sale price). Texas residents must also pay 6.25% sales tax, $129.50 title fee, and $25.50 state inspection fee. The administrative fee covers all documentary costs as well as overnight shipping for titles, paperwork, etc. The dealer service fee covers inspecting the vehicle for proper operation, checking fluids, arranging transportation, arranging airport deliveries, and multiple additional costs associated with reconditioning your vehicle. Ad created byeCarList.com.Call 214-722-8200 to find out how Dealertrack Inventory+ can service your dealership.